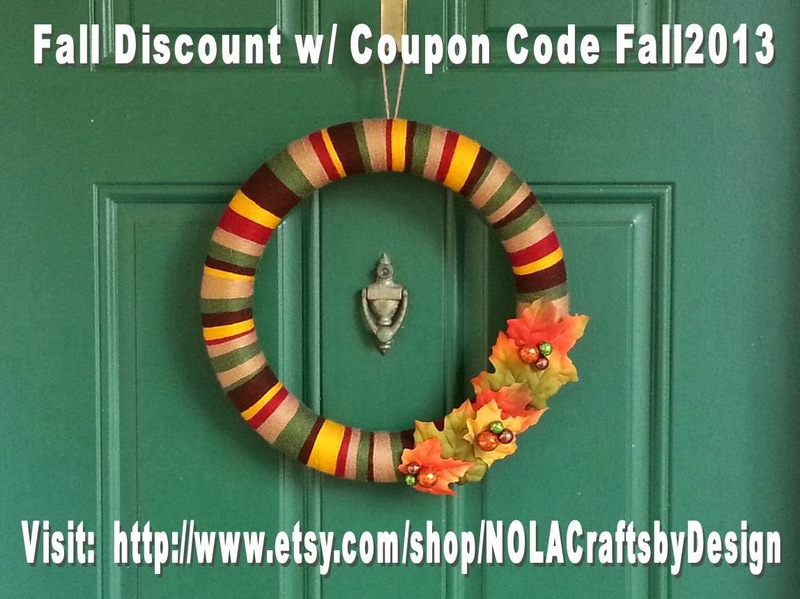 New Orleans Crafts by Design: Fall Discount!!! Check out my Shops on Etsy and Artfire for Fall Discounts. Coupon Valid through October 31, 2013.